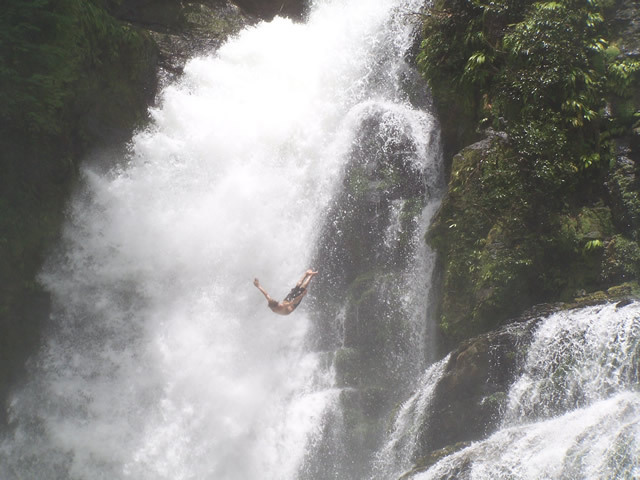 There are numerous outdoor adventure activities and tours to enjoy in the Dominical-Uvita area whether on vacation, part time, or full time resident. Here are a few suggestions to help you get an idea of what is offered and where. We can even help you find a vacation rental and even book tours during your stay. Offshore fishing charters out of Dominicalito, which is way more convenient than driving to Quepos or Sierpe. Reservations can be made through Cuna del Angel, and they can also prepare some of your catch that evening at their gourmet Palapa Restaurant. 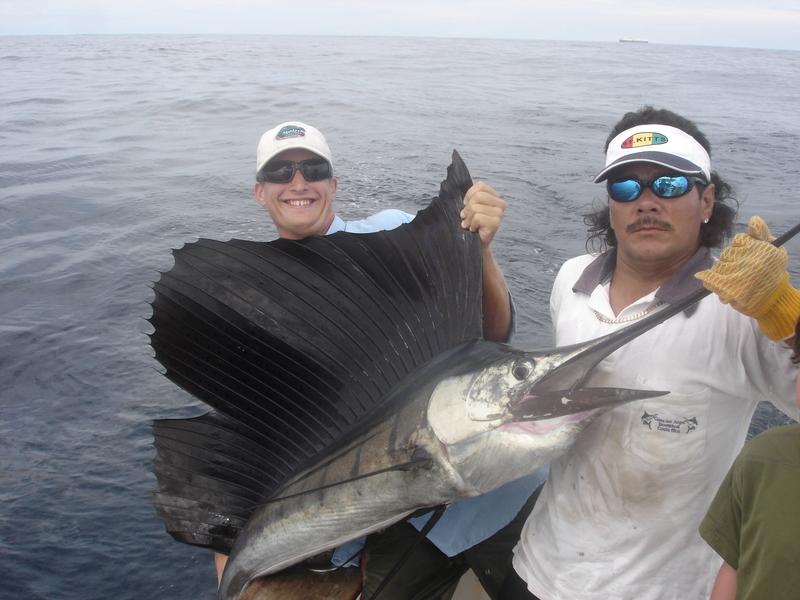 Sail Fish caught off the coast of Dominical. There are also plenty of sport fishing options out of Quepos and the new Pez Vela Marina and it is only 30 minutes North of Dominical. There are also whale and dolphin watching boat tours, diving and snorkeling at Cano Island, surf board rentals, bird watching, hiking, walking and relaxing on numerous pristine beaches, and more!! There is something for everyone in Dominical-Uvita and we look forward to sharing this beautiful area and all it has to offer with your family and friends!! 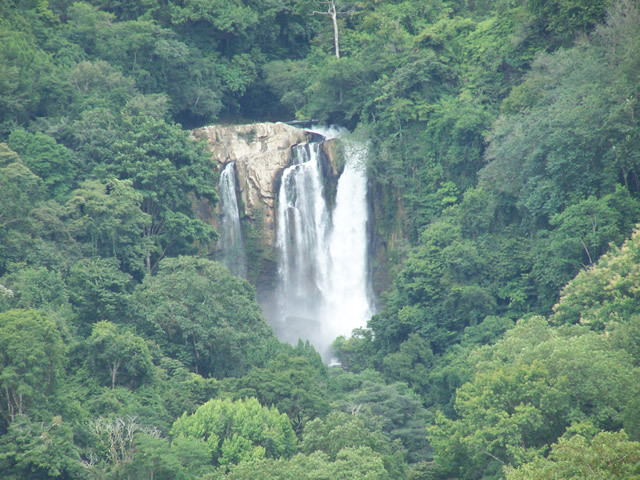 This entry was posted in Costa Rica Vacations, Dominical Costa Rica, Living in Costa Rica and tagged Costa Rica, Dominical activities, Dominical vacations by dominicalproperty. Bookmark the permalink.